Details: An interesting set of photos has been sent in by Neil Knowlden, showing former 1468W parked at the site of the goods yard in Crystal Palace on 10th November 1977. 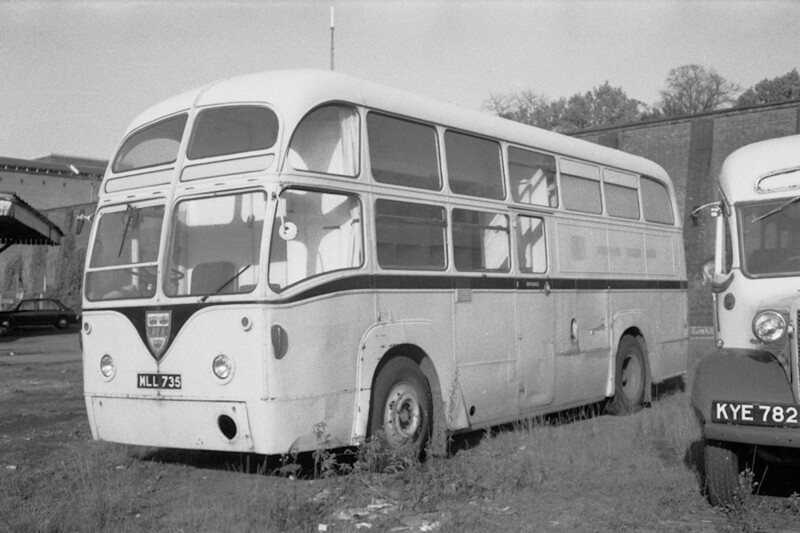 New to British European Airways in 1952, this AEC Regal bus was one of four acquired by London Transport in 1967 and modified as uniform issue units. They were replaced by the well-known Ford D box lorries from late 1976 and all were sold. The history of this particular vehicle is a bit complicated. It was originally set aside for preservation and, whilst at Crystal Palace, it had its interior fittings stripped out. A month later it moved to the fledgling bus museum in Woolwich but it was destined to change hands a few more times and it ended up in use as a travelling home. For more details on the history, and a photo of it taken in 2005, see here. This view shows the mid entrance and the livery of grey with a black stripe. The London Transport lettering had been removed while the BEA shield on the front had been refitted.